Affected by today’s recall are 1,228 model year 2013 Tesla Model S electric vehicles manufactured between May 10, 2013 and June 8, 2013. The cars in question may be equipped with weak second-row seats, which may not stay in place in the event of a crash. As a result, the left hand seat may not remain mounted – thus increasing the risk of injury to passengers. A Tesla technician discovered the problem on June 7, according to documents filed with the National Highway Traffic Safety Administration, The Palo Alto, California company has already fixed Model S sedans that were in the factory, so the recall only applies to vehicles that have been delivered. That being said, Tesla told the NHTSA that its expects just one-fifth of the recalled vehicles to be defective. Unlike the average automotive recall, Tesla Model S owners are not required to bring their vehicle to service centers for repairs. According to Tesla chairman and CEO Elon Musk, the automaker will contact owners and arrange for their vehicles to be picked up at the owner's leisure. 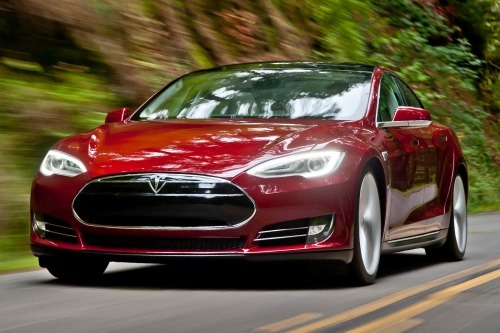 Affected Model S cars will be returned to owners after the repairs are completed. Additionally, a loaner car will be made available to drivers while repairs are being performed. The recall is expected to take three hours to perform. Tesla will begin contacting owners over the next several days. Tesla Service Centers will inspect the left hand second-row strikers and add additional mounting hardware at no cost to the owner. Owners may contact Tesla at 1-650-681-5000 for more information. Concerned drivers may also contact the National Highway Traffic Safety Administration’s Vehicle Safety Hotline at 1-888-327-4236 or go to www.safercar.gov. The NHTSA campaign number is 13V249000. One of the most celebrated cars in history, the Tesla Model S has earned countless awards and accolades – including the 2013 World Green Car of the Year, 2013 MotorTrend Car of the Year, TIME Magazine’s Best 25 Inventions of the Year award, and being named Consumer Reports’ top-scoring car ever. In fact, Consumer Reports rated the all-electric Model S sedan a 99 out of 100, the first time the magazine as rated a car that highly since 2007. In its review, Consumer Reports went as far as to argue that the Model S comes close to being the greatest vehicle in history. So what accounts for the adulation from Consumer Reports? The all-electric Tesla Model S triumphs due its superior sense of gravity, exceptional handling, smooth ride, spacious interior, and impressive battery, which is capable of traveling between 180 and 225 miles on a single charge.